Are dealerships starting to hit the brakes when it comes to social media and social marketing, or are they just coasting? The popularity of social media continued to soar in 2015, with Pew Research reporting this past October that 65% of American adults now use at least one social network. Even one-third of the demographic that formerly resisted social media—Americans 65 and older—is now using it. And needless to say, the take-up rate for what is now the country’s largest generation, the millennials, is much higher, in the 90% range. This and similar data has lead Pew and other analysts to declare that social media has overtaken television in its range and influence. Despite these trends, many business owners, including auto dealers, are feeling dubious that social media marketing is paying off for them, however. The investment in time and money required to maintain a marketing presence across numerous social media platforms doesn’t always result in tangible or immediate sales or service income. As a result, many have concluded a social presence isn’t that important to their business, and have let off the throttle. 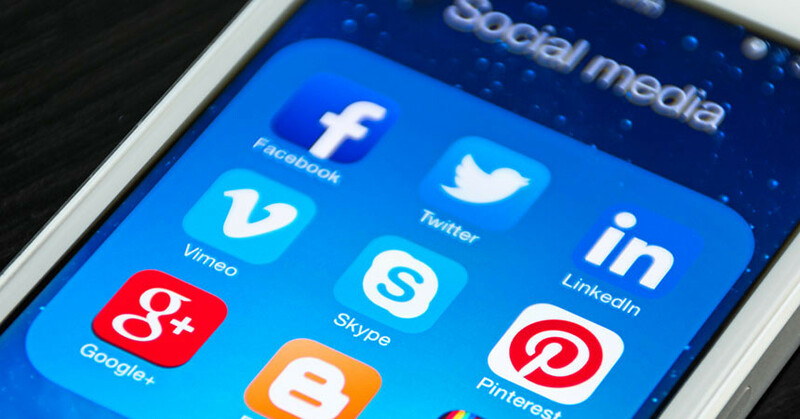 The social media experts we interviewed beg to differ with that decision, and their message is clear: Now, more than ever, is the time get back on the gas when it comes to your dealership’s social media marketing efforts. There are many new developments that have made social networks, especially Facebook, much more powerful marketing and buyer-targeting platforms, and auto dealerships can’t afford to neglect them. Joining Dealer Marketing Magazine to discuss the current state of social media and social marketing are Alexi Venneri, co-founder/CEO of Digital Air Strike; Michael Sos, product manager, reputation and social media, at Dominion Dealer Solutions; and Doug Freeman, product manager, social and video, for Dealer.com. Thanks to all for their sharing their insight and analysis. Dealer Marketing Magazine: What’s your assessment of how well new car dealerships, as an industry, used social media and social marketing in 2015 compared to prior years? Alexi Venneri: I think the majority of dealers acknowledge the need for a presence on social media—for good reason. Our recent Automotive Social Media Trends Study showed that 75% of car buyers and 68% of service customers said the Internet—including social and review sites—were most helpful in the dealership selection process, far surpassing all other mediums, including a dealer’s website. However, many dealers still don’t actively monitor and manage their social and online review sites to get the most from them. We do find that many dealers have started to invest in social advertising, but many are doing it on their own, without proper strategy and leveraging social advertising best practices, so they won’t get the same great results our clients see with expert and experienced ad strategy, programming, and campaign development and execution. Michael Sos: Unfortunately, automotive dealerships developed an apathetic attitude towards social media in 2015. This [stemmed] from the large sums of money that many dealers have already tossed at it over the last couple years with very little to show for it except for a page full of silly stuff that no one looks at. I see it often. When I say “Facebook,” general managers’ eyes glaze over and they stop paying attention. Dealers today, and the auto industry as a whole, needs to wake up and reevaluate, because the advertising opportunities on social media are bigger than anything else dealers are currently doing. Doug Freeman: While it’s a bit of a mixed bag, I think that new car dealers are starting to really hone in on how to effectively market on social media. Over the years, once social media was no longer a shiny new thing, a lot of folks questioned the ROI on the amount of effort they were putting into social, and retreated. There was a lot of confusion in the marketplace, because dealers were being told they had to have a presence on social media, but they weren’t supposed to sell there; it was all about promoting a lifestyle associated with your brand. However, that message has really been flipped in the last year. We now know that it is OK to sell products on social media sites. Heck, Facebook and Twitter now have “Buy” buttons you can integrate into posts, and Facebook will even do transactions through Messenger. I’m not saying that people are ready to purchase a car from their newsfeed, but they are open to being marketed to there. Dealers [came] back in 2015, and the growth is really going to expand in 2016. DMM: What do you consider the ideal way to staff a dealership to most effectively take advantage of social media marketing—should there be one centralized full-time person handling responsibilities, should it be split between different departments, handled solely by a vendor, etc.? AV: No matter the size of the dealership, a person or a vendor should be assigned the full-time job of managing social media marketing. It’s too important to just be a part-time project. Most of the time, hiring a vendor, such as Digital Air Strike, is more cost-effective than paying a salary to someone who likely doesn’t have the experience of managing thousands of accounts or the close relationships with the social sites to be aware of the changes. Social media has greater ROI than any other form of advertising. Instead of viewing it as an added expense, dealers should take a few hundred dollars from one of their other marketing spends and apply it to social advertising. We’ve found that our dealership clients who are most successful with social advertising did exactly this—redirected a small amount from existing pools of marketing funds; tested social ads for a brief period (60–90 days), and then invested in a consistent and ongoing basis (just like they do with TV, radio, and print) after seeing the remarkable—and considerably easier to measure and quantify—results. MS: In 2016, social media marketing efforts will evolve into more of an agency activity, and will likely not be fulfilled out of the store as it has been over the last few years. We, as an industry, need to think about social media management in the same way that we think of Google AdWords or email marketing. While automotive social media marketing can be managed in-store, there are vendors with the tools, reporting, and personnel that are better equipped to handle it—especially when scaling up to large dealerships or dealer groups. I expect some dealers will employ automotive social advertising toolsets that will intertwine the capabilities of existing social ad platforms with automotive metrics. DF: We’ve seen a few different approaches. Some dealerships have one person dedicated to handling social media, but it doesn’t necessarily have to be a full-time job. Often times, it is simply part of the Internet manager’s job description. 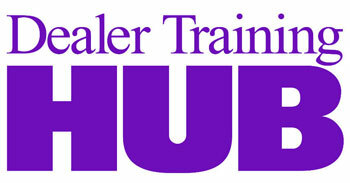 Larger dealerships with multiple makes may need a full-time person, as there may be multiple pages to handle at once. Whatever the approach, having a partner or agency helping manage social can really help with ROI. Social platforms are more and more complex, and getting the most out of them requires a level of expertise that goes way beyond posting status updates. Also, a good understanding about digital advertising is critical, as there are little to no free organic impressions anymore. Knowing how to spend wisely on social platforms will ensure your efforts aren’t wasted. DMM: What are the differences in effectiveness of social media between low- and high-end brands’ demographics? For example, is a potential Mercedes-Benz or Porsche customer more or less likely to be impacted or influenced by social marketing as consumers considering a Kia or Fiat, and why? AV: This was another interesting trend identified in our recent Automotive Social Media Trends Study. According to the study, luxury vehicle owners tend to have higher expectations of dealerships. For example, 92% of Cadillac customers relied on review sites in their dealership selection process versus 81% of Chevrolet customers. [Also], 100% of Cadillac customers felt a dealership had to have at least a four-star rating to be considered “good” versus 96% of Chevrolet customers. Yet, flipping the coin on its head, what we know from managing dozens of social network and review site platforms for thousands of dealerships across North America is that budget-conscious car buyers are as prolific on these networks and sites as anyone. Yelp, one of the largest non-auto-specific review sites, is one of the most heavily used review platforms for Kia and Hyundai, as an example. So, while the luxury or upmarket brand car buyer may “expect” more from a dealership’s social presence; it isn’t necessarily the case that economy buyers are giving dealerships a hall pass on social, not by a wide margin. MS: If we step back and look at the various social networks, are they dominated by a certain demographic? No, they’re not. Everyone is participating. With that in mind, every dealership from mainstream brands to luxury can, and should, participate in social media marketing to some degree. Social media advertising gives dealers the opportunity to target consumers based on their location, demographics, and interests. This helps automotive dealers—and the vendors they employ—to find the right customers. Luxury brands and lifestyle vehicles have an advantage in social media marketing because consumers seek to connect. For instance, if you have a Porsche dealership, building a social community is not hard since these customers already want to be connected to the Porsche brand and lifestyle represented online. For a General Motors dealership, there are several subcommunities that have the same potential . . . but should this be a focus? Personally, I don’t think so. Dealers need to spend their time where the biggest ROI potential can be found. It’s for this reason that I tell dealers to approach social media as an advertising opportunity and measure it accordingly. DF: There are typically pretty big differences between brands based on demographics. Popular brands like Porsche and Mercedes need to know when to cater to [their] huge fan base that is not necessarily in the market for one of their cars and when to pitch to actual buyers. Both matter equally in the grand scheme of things. Mainstream brands, like Kia or Honda, can focus more on people in their local areas who are, or may soon be, in the market for a car. DMM: Which current, widely used social media platform do you consider to offer the least return on investment in terms of effectiveness for auto dealerships, and why? AV: Facebook has the best targeting for social ads, but all of the social media platforms have their niches—it’s a matter of dealers identifying their goals before they choose which site to use. For example, Twitter tends to skew younger than Facebook. YouTube can be effective to extend already-successful video campaigns. Many people view LinkedIn only as a way to network—but that is what makes it a great way to connect with companies needing fleet vehicles or dealers looking to recruit new talent. MS: I love Twitter, but I think its value is minimal for an automotive dealership. Any message posted is gone in a blink of an eye, simply due to the amount of content on that platform. While the advertising opportunities there are interesting, the user base is not wide enough to bring big value to dealerships at this time. DF: I think it’s pretty obvious that Google+ never made much of a dent in social media, and Google is slowly trying to transition it to something else. Doing a ton of marketing efforts there is going to yield pretty minimal results. That said, Google+ Local reviews are extremely relevant, and could drive traffic back to your Google+ Local page, where your social posts are also displayed. So, it’s a good idea to keep the content fresh so that it doesn’t look abandoned. But you should definitely monitor your Google+ Local reviews and respond accordingly. DMM: Conversely, which social media platform—or type of platform—is being underutilized by dealers, and how can it benefit dealerships to use? AV: Dealers should start including social ads into their advertising budget and they should have a plan for real campaigns, not just promoted posts. There are so many new and effective ad formats today! When properly targeted and managed, they provide the greatest ROI I’ve seen. When a dealer tells me Facebook ads didn’t work for them, I know it’s because the ads were likely just “boosted posts,” not properly targeted ad campaigns. Facebook has so much data about its users and is always learning more. All of that data can be used to target ads and drive customers into dealerships. Beyond Facebook advertising, Facebook reviews are also emerging as a potent review site competitor. Why? Because consumers inherently trust reviews from their social networks over reviews from people they don’t know. I predict this will continue to increase in importance to car shoppers, buyers, and owners in the future. MS: The Facebook advertising platform is amazing, and offers unlimited opportunities to target and find audiences for dealership inventory. Their “custom audience” advertising has huge potential for loyalty advertising and their look-alike audience feature is amazing. Dealers can utilize look-alike audiences to target ads toward consumers on Facebook that resemble—[in terms of] demographics and preferences—recent buyers from the dealership. At Dominion, we have seen great successes for our dealer partners already, and will be expanding quite a bit in 2016. The new capabilities to reach consumers on Instagram also look very promising. DF: Everyone focuses the lion’s share of their attention on Facebook, but they should really focusing on . . . even more Facebook! Facebook introduced a lot of new advertising products in 2015, and if you are not planning on dramatically increasing your spend on Facebook advertising in 2016, then you need to rethink that strategy. Video ads, dynamic product ads, lead ads, and more are proving to be extremely effective with costs that are attractive, too. Additionally, the reporting on these types of advertising are more in line with what dealers expect to see, focusing less on engagements and page likes, and more on impressions, clicks, and leads. There will also be a big push for Instagram ads in 2016, too. DMM: Is there a danger of “social media fatigue” among potential customers that could blunt the impact and effectiveness of social marketing for dealerships, and if so, what would be a good proactive strategy for a dealership to employ as to prevent it? AV: The great thing about social media is that at its core it’s “social”—a way for friends and family to connect. The social sites are getting smarter, and are learning from users and wisely placing ads in front of people who have shown interest in the company/product that’s advertising—so that the ads fit in and don’t disrupt the social part of the social sites. We offer a free social media audit to look at all the ways a specific dealership could leverage the sites to get real ROI. Dealers should go to www.digitalairstrike.com to request a free report. MS: I think it is possible that some social networks will rise and some will fall over time, but the social Internet as a whole is here to stay, and will only become more woven into consumers’ lives. There was a scene from the movie Minority Report with Tom Cruise where the advertisements were following him and were individualized. Social advertising is the precursor to this functionality, so I strongly recommend that all dealers delve in and start to build competency in this medium. DF: I believe the opposite is true, especially on Facebook. Because you can utilize Facebook’s advertising products to directly target in-market consumers, you can focus your newsfeed efforts on customer retention. A customer is only going to buy a car from you once every three to seven years. If you focus your newsfeed solely on inventory, you aren’t going to offer that customer any reason to pay attention to your posts. Creating content that is a good mix of service marketing, promoting happy customer sentiments, and brand-specific information that your customer should know are the best ways to give your followers what they want, and reduces the fatigue risk.